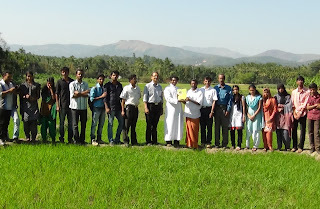 Sri Peruvayal Raman, traditional paddy farmer releases the college magazine 2011-12 from his paddy field. 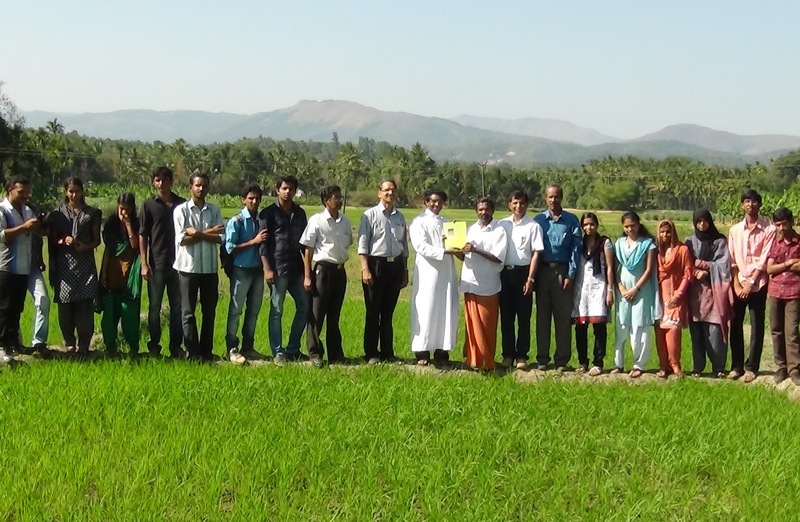 Rev Fr Chandy Punakattu received the first copy of the magazine. Principal Dr Raju George, Staff Editor Dr Joseph K Job, Dr Savio James V, Head Dept of English, Dr Rakesh Kalia, Head Dept of Hindi, Ms Souby Mathew, Student Editor and the editorial team were present at the function. Copies are available in the office. You can collect the copies.